Sign Up for Newsletter – Subscribe to keep up to date with what’s happening! Planning an event in Narrandera Shire? We’re here to help. 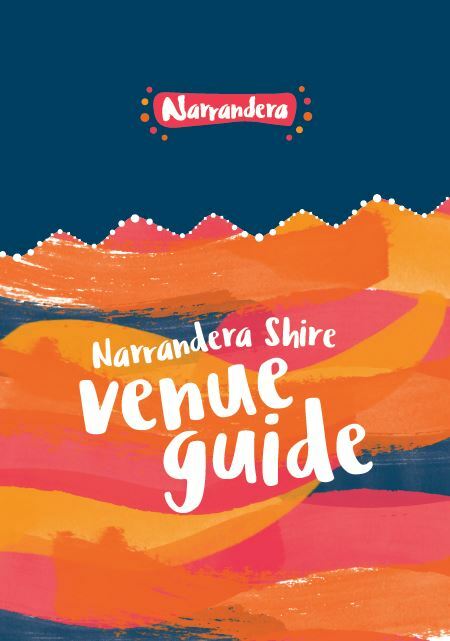 Narrandera Shire Council’s Guide to Hosting a Successful Event provides suggestions relating to all aspects of hosting your event, from conception to planning and the carrying out of your event, festival or other occasion. The Guide to Hosting a Successful Event offers information to help local individuals and community groups address the many facets critical to the success of an event. To download a copy of the guide, head to the Narrandera Shire Council website. Looking for a venue for an upcoming 21st Birthday, School reunion, Conference or outdoor event? We’ve got you covered with our Narrandera Shire Venue Guide, listing over 30 venues across the Shire and their contact details. For all events or activities occurring in a public park, space or reserve, please complete an event application form, and return it along with your event risk management plan and Certificate of Currency (Public Liability Insurance) to Narrandera Shire Council, six (6) weeks prior to your event. We’ll work with you to ensure your event runs smoothly. Forms can be found on the Narrandera Shire Council website. * Product Disclaimer: Information on listed products and services are provided by the operator and were correct at the time of publishing. Rates are indicative based on the minimum and maximum available prices of products and services. Please visit the operator's website for further information. All prices quoted are in Australian dollars (AUD). Narrandera Shire Council makes no representations whatsoever about any other websites which you may access through this website. Some websites which are linked to the Narrandera Shire Council tourism website are independent from Narrandera Shire Council and are not under the control of Narrandera Shire Council. Narrandera Shire Council does not endorse or accept any responsibility for the use of websites which are owned or operated by third parties and makes no representation or warranty in relation to the standard, class or fitness for purpose of any services, nor does it endorse or in any respect warrant any products or services by virtue of any information, material or content linked from or to this site. Copyright © 2015-2019 Narrandera Shire Council.